While we often take them for granted unless they’re in pain, our feet are as complex and delicate as our hands. Like our hands, they are made up of a multitude of bones, muscles and connective tissues, all of which have varying degrees of motion. When that motion becomes limited, pain and stiffness can occur. There are many possible causes for foot pain, from plantar fasciitis to fractures, foot neuromas and bone spurs. One such cause is a tarsal coalition. Dr. Stuart Katchis, NY-based orthopedic surgeon specializing in the foot and ankle, has treated many young patients with tarsal coalitions. Here he provides an overview of the condition, its symptoms and the best treatment options. Tarsal coalition is a condition most often seen in children and adolescents in which some of the bones of the rear and mid-foot (the tarsal bones) are fused together. It’s a congenital defect—that is, a problem that’s present from birth—which usually occurs when the individual bones fail to differentiate properly during fetal development. 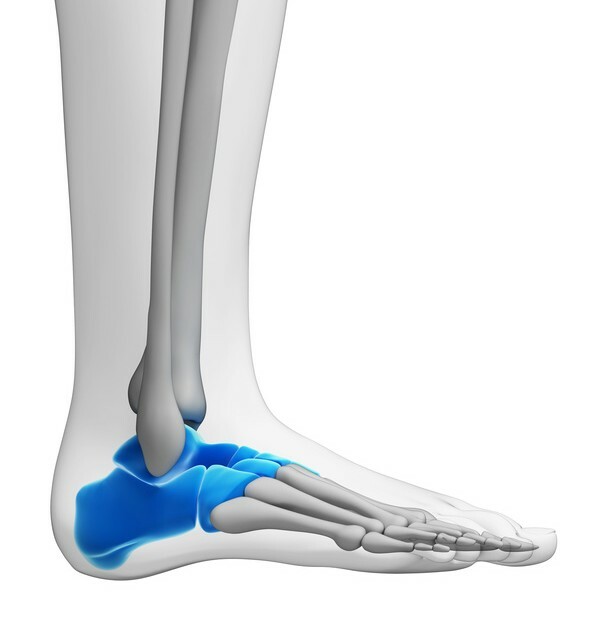 There are seven tarsal bones: the calcaneus, or heel bone, and six smaller bones that make up the mid-foot. In a tarsal coalition, two or more of the tarsal bones grow together; the growth can be bone, cartilage, or fibrous tissue. This limits the motion both of the bones involved and of the foot as a whole. Not only is this condition usually painful, the abnormal stress it puts on the other joints of the foot can lead to arthritis later on. Although people with tarsal coalition are born with it, symptoms don’t usually appear until the bones begin maturing during the pre-teen or teenage years. In some cases, the condition isn’t discovered until adulthood. The primary symptoms of tarsal coalition are pain, lack of flexibility in the mid or hind-foot and flat foot. Pain usually occurs on the outside of the foot or below the ankle, although in advanced cases it may also be felt on top of the foot. Other symptoms can include limited range of motion in the foot and ankle, difficulty walking on uneven ground, and pain that gets worse with activity. Some people experience no symptoms at all. For those without symptoms, no treatment for tarsal coalition is necessary. But for those experiencing pain or other symptoms, there are several treatment possibilities, depending on where the coalition is and the severity of symptoms. If conservative treatment for tarsal coalition fails to relieve discomfort, it may be necessary to surgically correct the problem. The most common surgical treatments for tarsal coalition are resection surgery and fusion. In resection surgery, the coalition is removed and replaced with muscle or other tissue from another part of the body. This surgery is most commonly performed in younger patients, and it restores range of motion and function by separating the bones properly. Fusion surgery, as the name suggests, permanently fuses the bones involved in the coalition, using pins or screws to hold them in place. This procedure is usually performed on patients with severe coalitions involving arthritis, or on patients who have not achieved relief following resection surgery. If you or a loved one is experiencing symptoms of tarsal coalition or you’ve recently received a diagnosis and are exploring your treatment options, contact our office today for a consultation. You don’t have to live with foot pain, stiffness or other symptoms associated with tarsal coalition – and neither does your child or teenager.